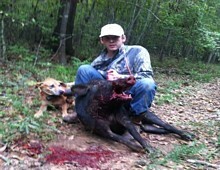 Alabama Hog Hunting - UNLIMITED HOGS! 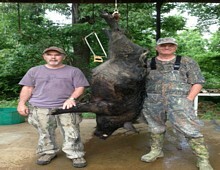 This hunt takes place on over 4000 acres. 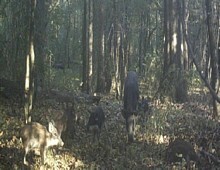 These are all true wild feral hogs. They come in all shapes and sizes. 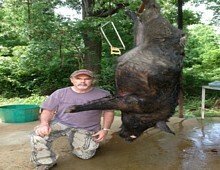 The hunt includes three nights’ accommodation and two full days of hog hunting. 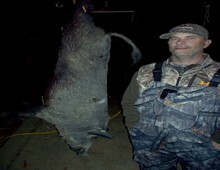 Hunting is done from shooting houses/ladder stands over food plots and bait. All meals are included as well as field transportation. 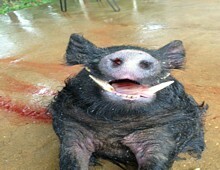 Best of all no limit on hogs. Take all you can carry!!!! $750.00 with lodging - 2 days/3 nights. 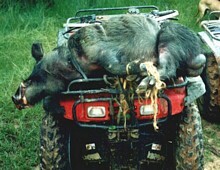 Unlimited hogs.